Living Word, a home mission in Waukesha, Wis., is always working to connect with its community. As the congregation is developing plans for the construction of Living Word’s first church building next spring, members decided to include a coffee shop to offer a non-threatening place to interact with community walk-ins and members’ friends and acquaintances. But, according to Sherene Nicolai, part of the congregation’s Coffee Shop Task Force, the group is struggling to know exactly how to carry out those plans. Enter Lutheran Volunteer Connect (LVC), an online site that directly connects ministries with volunteers. Run by Kingdom Workers, the site offers churches, schools, and organizations of the Confessional Evangelical Lutheran Conference* a way to post ministry opportunities that need volunteer help. CELC volunteers who have signed up with LVC can respond to requests and provide needed manpower or expertise to get the job done. According to Neil Hankwitz, LVC coordinator, ministry opportunities can range from running a soccer camp to serving as an English teacher to helping with door-to-door canvassing—the possibilities are as endless as the imagination. The perks also abound. Congregations can get a fresh infusion of manpower and/or expertise in specific skillsets that members may not have. Volunteers can strengthen their faith, provide necessary help to others in their fellowship, and get fresh ideas for their own congregations. “The whole purpose of LVC is we want to share the gospel—to get God’s Word out into our communities,” says Hankwitz. 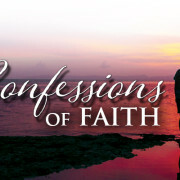 *A forum for confessional Lutherans around the world. Thirty-two church bodies are members, including WELS.